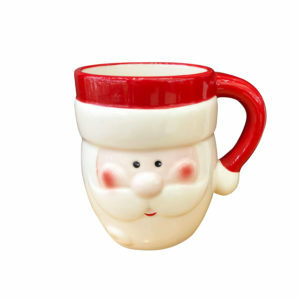 This Santa Section Platter is an ideal hostess gift or Secret-Santa present this holiday season. Measuring around 19cm wide by 9cm in height, this stunning serving dish offers three distinct sections to hold your treats, sweets, or other Christmas goodies. 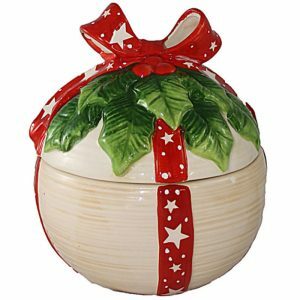 The bright red ceramic dish has a holiday flavour that is perfect for parties and gatherings, or to give to another for a special gift. 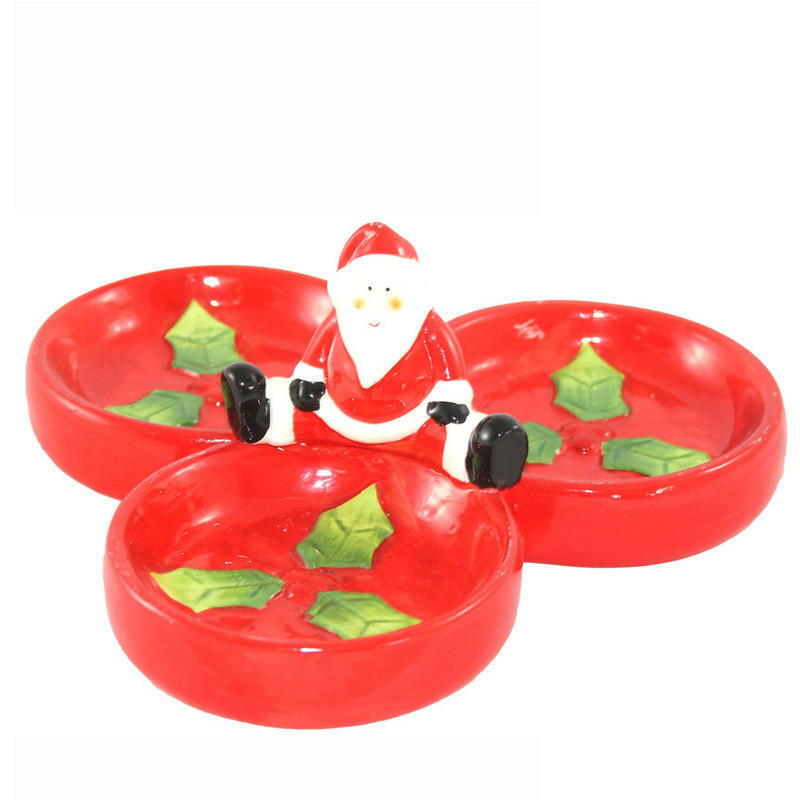 The red dishes are accented with vibrant green holly leaves and in the centre sits a Santa figurine. This figure serves as a handle for lifting and moving the dish, in a clever and inventive way! This would be the perfect olive or pickle dish for a party, or to give to a hostess that invites you to Christmas gathering this year. 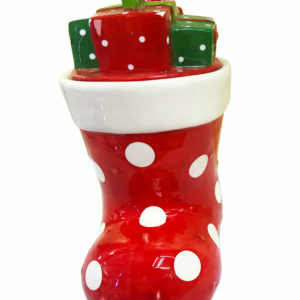 This quality dish will become one of your favourite accent pieces and an item that you use every year.